The 0555 Contemporary Sectional Sofa with Chaise by McCreary Modern at AHFA in the area. Product availability may vary. Contact us for the most current availability on this product. 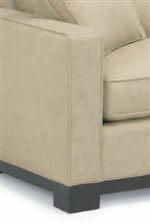 0555-CRB RAF Chaise 1 37" 62" 37"
0555-XLB LAF One Arm Sofa w/right Corner 1 90" 36" 37"